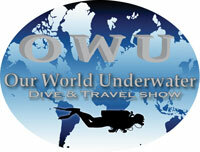 The 49th Annual Our World Underwater | Dive Industry Association, Inc. This entry was posted in Shows & Events, Trade & Consumer Shows. Bookmark the permalink.